1898 - 1943. Born Castleford, Yorkshire. Attended Leeds College of Art from 1914 to 1916. 1919 attended pottery painting classes with Henry Moore under their former school teacher Alice Gostick. 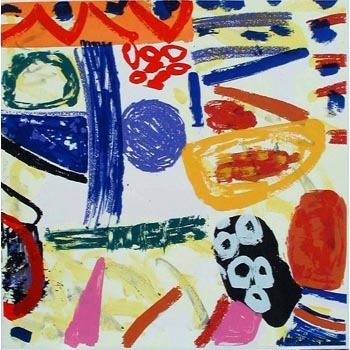 Wainright exhibited at Leeds City Art Gallery 1920, the Goupil Gallery, London in 1923. 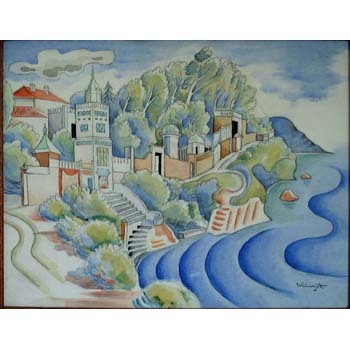 From 1927 to 1939 visited the continent every year painting and sketching. 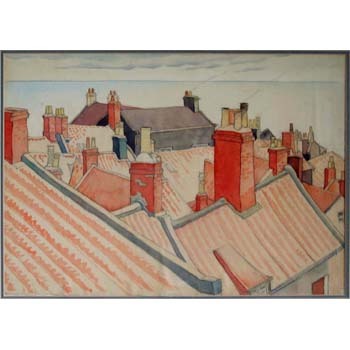 An unsigned watercolour of rooftops at Robin Hoods Bay. Originally purchased from the artist's sister.